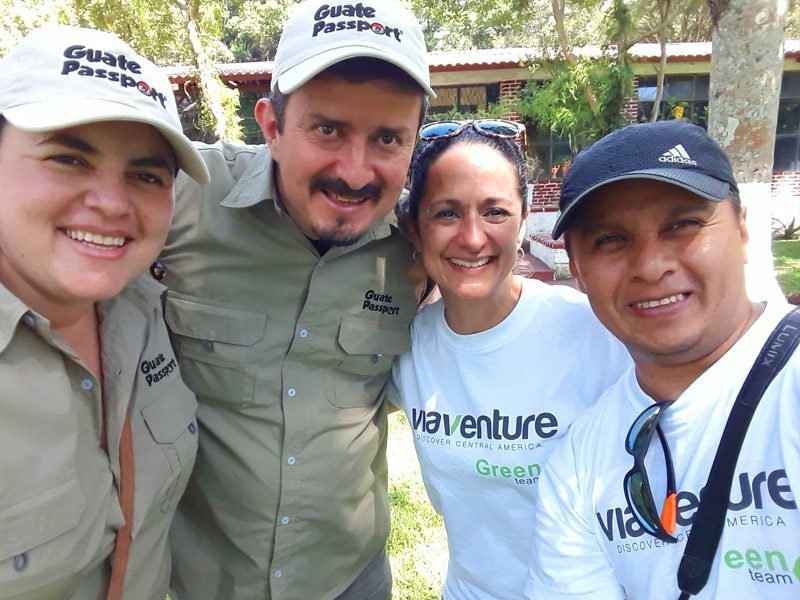 With environmental responsibility a big part of their day-to-day practices, Viaventure employees devoted a recent Saturday to improving the greenery of a favorite destination and learning simple ways to help the planet’s health. 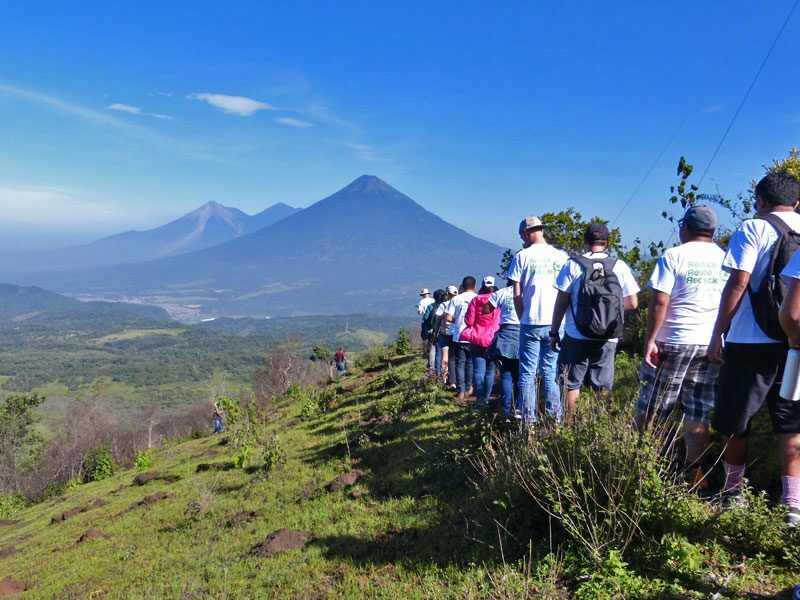 The day began with our eco-minded volunteers visiting the slopes of Pacaya, an active volcano located 50 kilometres (30 miles) south of Guatemala City. 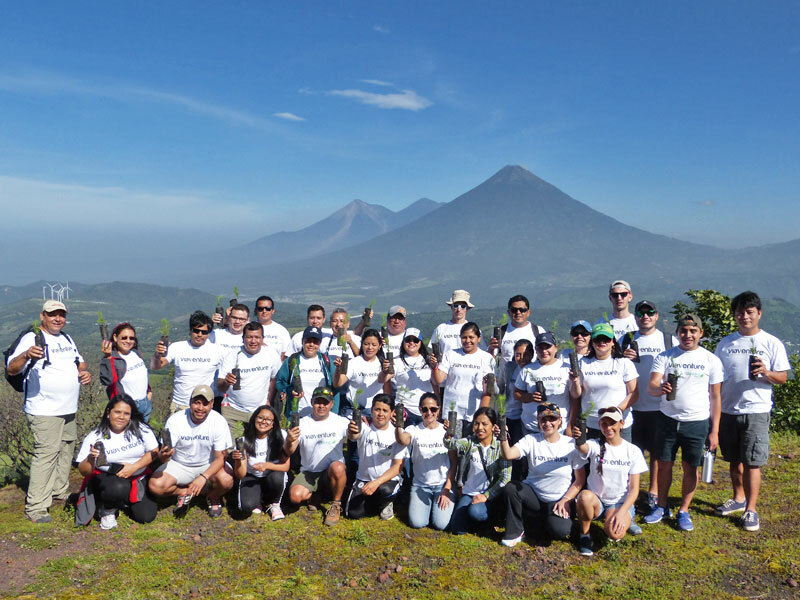 Working with the eco-travel agency GuatePassport, Viaventure staffers planted 350 young pine trees on the volcano, which lost considerable swaths of lush forest during a violent eruption in 2010. 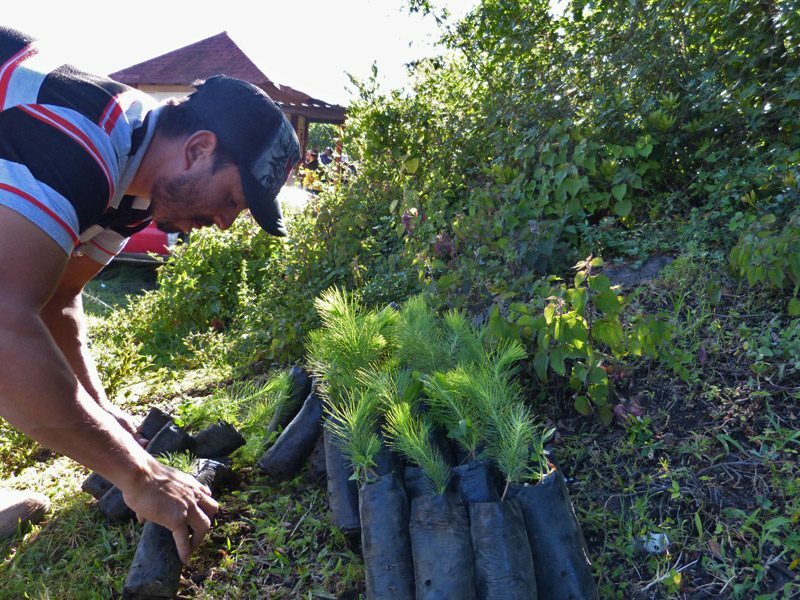 GuatePassport supported the volunteers with logistics and helped provide the trees (Pinus oocarpa or Caribbean pine), which are native to Central America and can reach 35 metres (115 feet) tall. One of three active volcanoes in Guatemala, Pacaya rises 8,373 feet (2,552 metres), making it the most accessible volcano to climb in the country and a favorite destination for our action-minded guests. 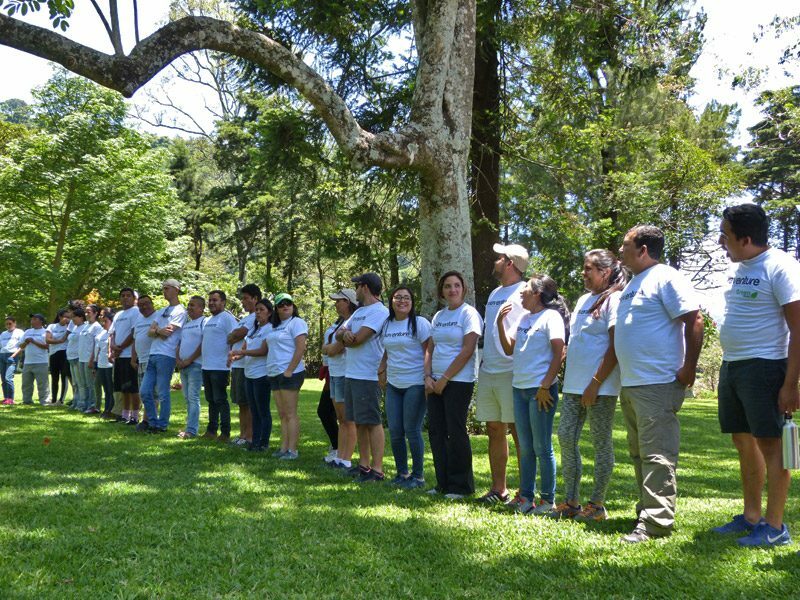 After the reforestation project, the Viaventure team visited the nearby, family-owned El Barretal Coffee Farm to hear guest speakers from GuatePassport and Zero Waste Guatemala. Their themes focused on small changes in our daily habits that can make a big difference for our planet — for example, using alternatives to plastics, including bamboo toothbrushes, metal or bamboo cotton swabs, re-usable straws, and even fabric tortilleras (baskets for tortilla storage). We can also look for alternatives to lotions, deodorants, and shampoos that come in plastic bottles. 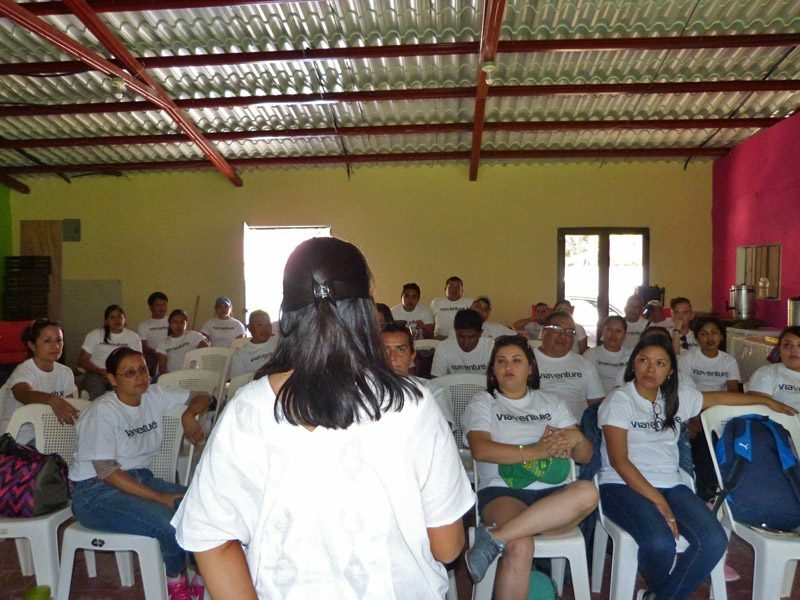 Another topic stressed the benefits and ease of composting, a practice that Viaventure follows at its headquarters in La Antigua Guatemala, where reducing, reusing, and recycling are common practices. 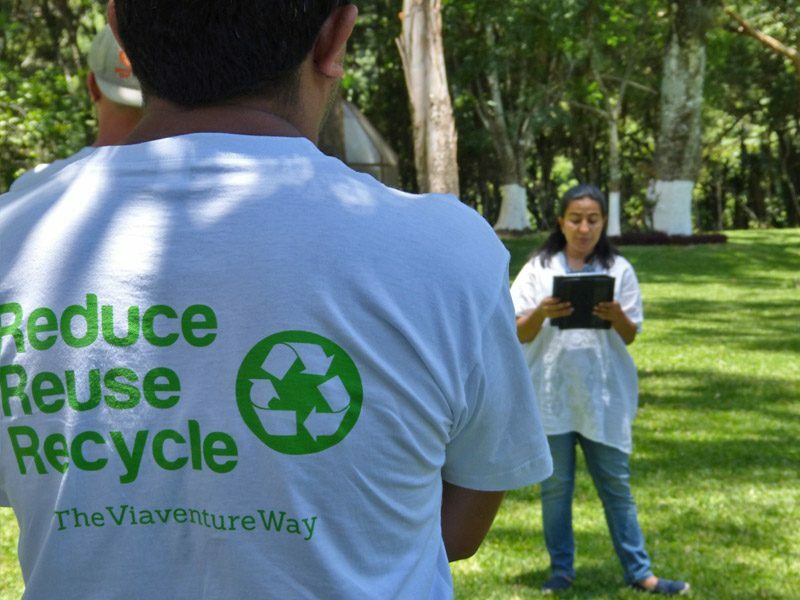 The presentations concluded with Viaventure’s Eco-Boy giving each staff member a “Green Kit,” which included a reusable bag and water bottle, biodegradable trash bags, bamboo toothbrushes, and a fabric tortillera. 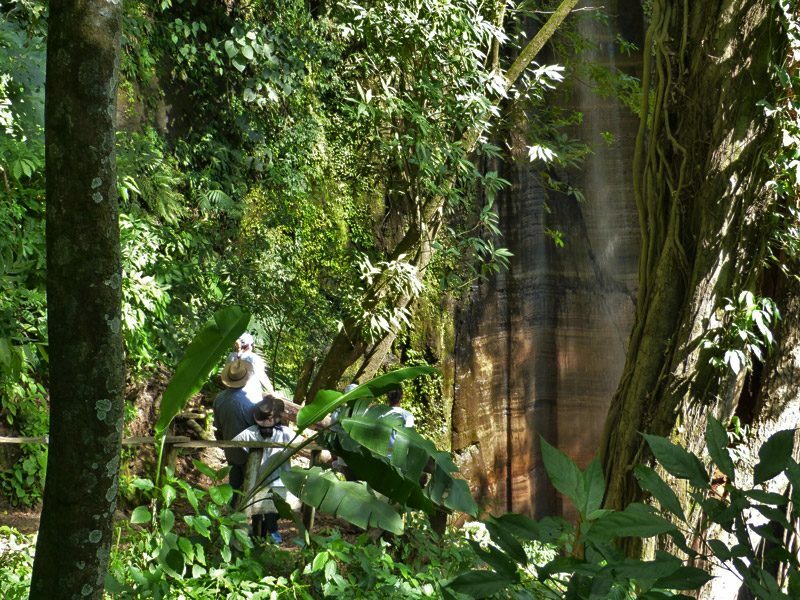 Since Viaventure’s founding in 2001, reducing our and our guests’ carbon footprints has been a core value. 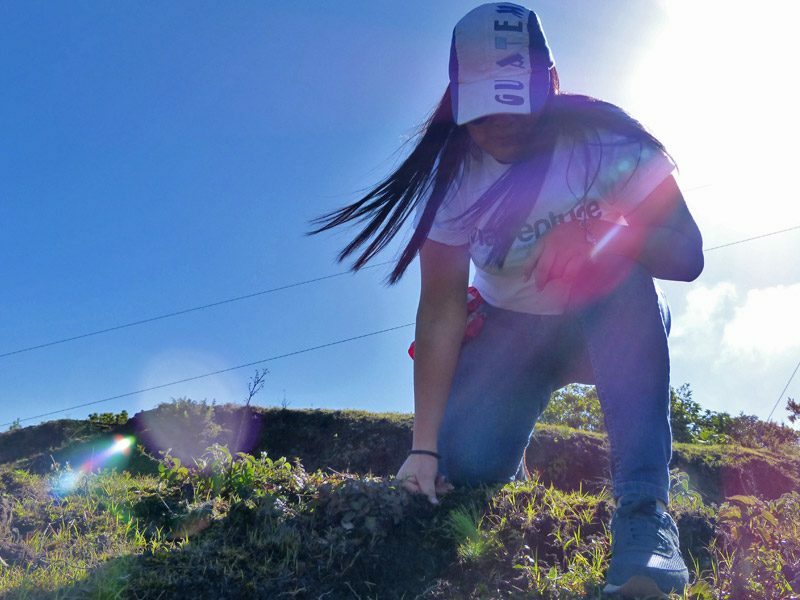 Our waste-reducing practices include providing guests with reusable water bottles instead of plastic ones, and refilling them with fresh, purified water throughout their journeys. 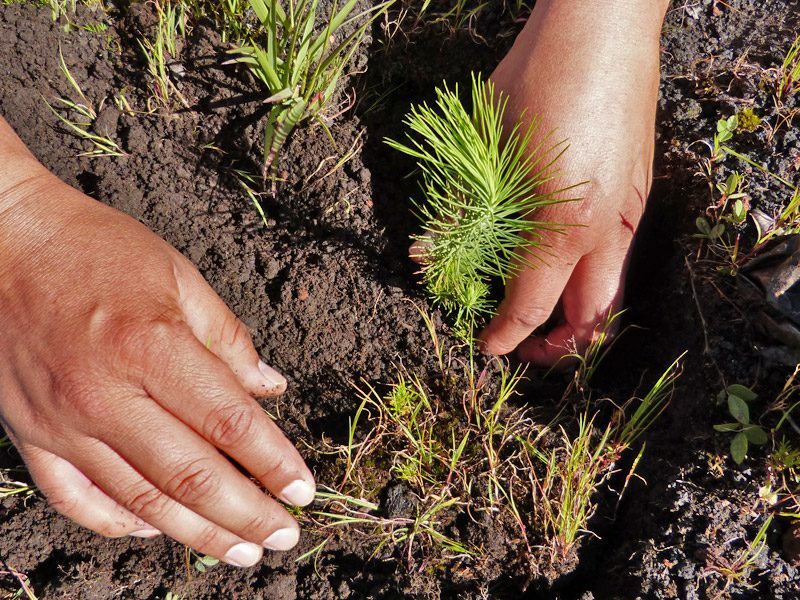 All operations are refreshingly free of Styrofoam, one of the harshest materials on the environment. 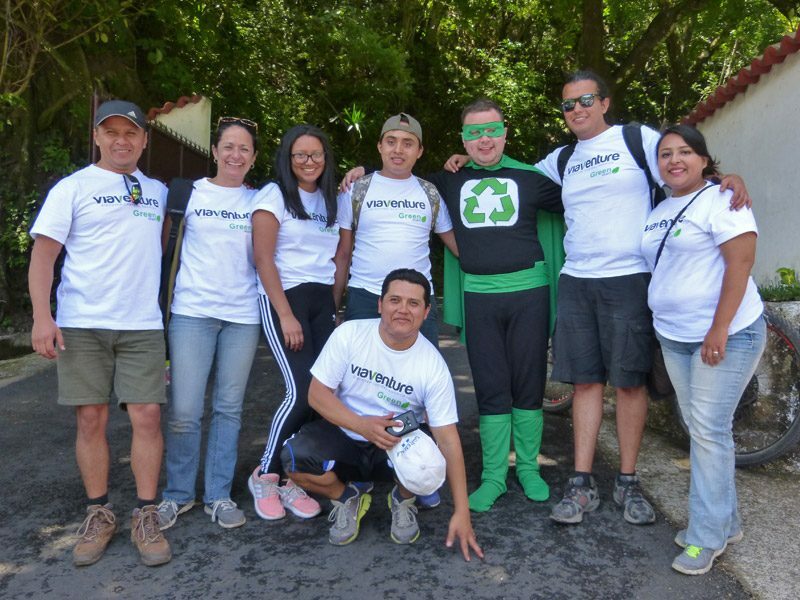 We urge our suppliers, drivers, guests, and guides to “think green” in their daily routines, too. 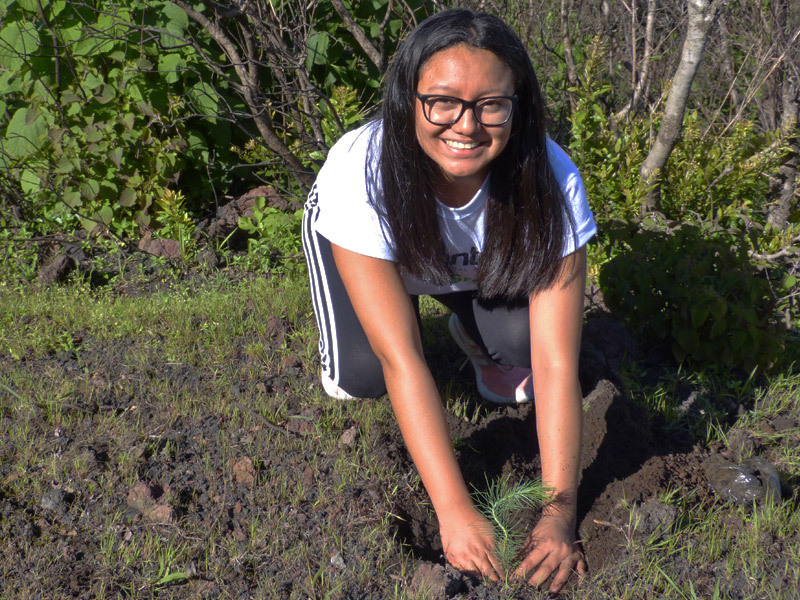 There are countless small things we can do that will make a big difference for our natural surroundings, so please join us and reduce, reuse, and recycle!